Imagine: Choosing between seeking medical help for your dying child and the only job you have ever known. Imagine: This pattern continuing for your children and your grandchildren. It is hard to imagine such a life, a life most Americans have never known. But that is the reality for millions in rural Bangladesh. Their lives hinge on the balance of nature and blessings of good health. 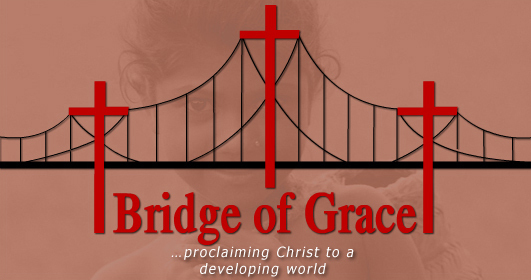 Bridge of Grace aims to make a change in that balance to the favor of so many who do not yet have the resources to help themselves. “Project Imagine” is an ambitious plan to deliver medical care and education to those in greatest need. A medical clinic in the rural tea gardens to serve the physical needs of those who are yet unserved. A medical technician training program to raise the standard for the family wage earner now. Imagine: How you can be a part of” Project Imagine” and change lives today and for generations to come. $100,000 is needed to begin building for tomorrow.